Looking for Accommodation in Yarragon? 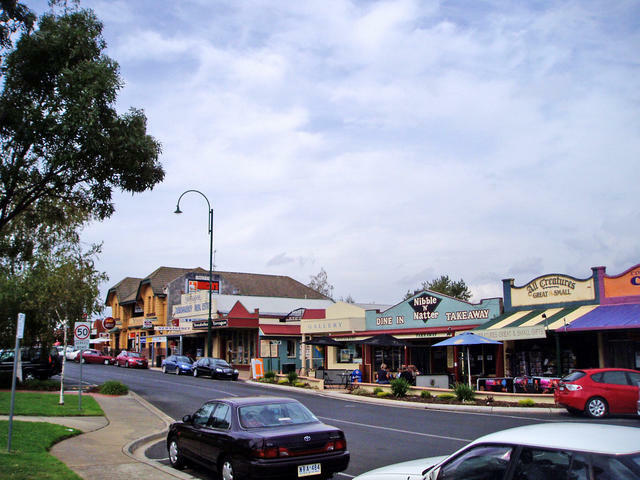 The township of Yarragon is full of great craft and food shops spread down the service road beside the Princes Highway, directly opposite the railway line. The town has long held the display of a fine old steam train - now on the verge adjacent the hotel. Many local foods, condiments, jams, olive oils, dairy products and meats are well displayed and offered for sale there, and the bakery is A1! A visit to the local Commercial Hotel is always a good idea.